The wake market continues to grow year on year with the influx of wake parks making the sport more attainable for those that don’t have access to a boat. Interestingly, almost in contradiction, brands have also noticed an increase in the want for specific boating and surf product from consumers – perhaps as a result of the great summers we’ve had over the past few years, which has led to a heightened interest in the sport. Adam Higson, Creative Director at Ronix, believes that all areas of the sport are growing as “wakeboarding is back on an upswing, cable is growing, boat riding is growing again, and surf is blowing up,” but agrees that brands are needing to ensure that their offering provides real definition to make sure that each board rides differently and suits the specific rider. 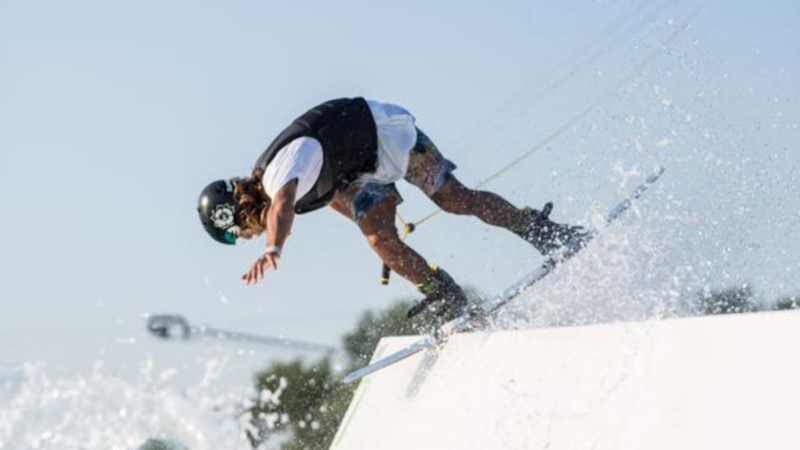 William Doornekamp, Wakepark Sales Representative & Athlete Manager for Jobe Sports, highlighted that boating equipment was responsible for most of their sales last year and that this is definitely an area that they are planning to focus on more in 2019. As a boating brand from origin, Jobe Sports are keen to pursue this “connection with [their] roots” whilst Hyperlite have also noticed an increase in boat boards, suggesting that the market is taking advantage of new technologies and great pricing on high-end packages. The increased availability of wakesurf specific boards, from high-end options down to entry-level shapes, again suggests that boating is on the up with Jenna Dilsaver, Assistant Marketing Director at Never Summer, informing that their focus in 2019 will be surf-specific boards. She believes that this growing interest in wakesurfing is due to the increased popularity of surfing as a sport in general, stating that “more consumers are purchasing boats and boat accessories to create a larger wake, in turn, making it easier to find a way to surf”. Last year saw a shift in sizes with everyone leaning towards bigger sizes and 2019 looks as if this trend will continue with many brands choosing the ‘bigger is better’ mentality with their designs (particularly in the park market). Slingshot sports sold out of their longest park boards in 2018, indicating that riders are upsizing in the parks looking for longer edges to build up enormous pressure for high air tricks. Be careful not to overdo it on size however with boards over 155cm not suitable for everyone. Sizes 145cm and 147cm are proving to be top sellers. To compensate for the longer length many brands are avoiding the restriction of being too heavy thanks to their innovative construction processes. Offering a range of longer, bigger boards Goodboards, as a predominantly snowboarding company, is looking to create innovative wakeboards for parks and cables that have a fast base, lots of flex and a robust construction which is ideal for airs and features. One of their boards to look out for next year is their Pure model; a robust and playful wakeboard for cable riding with a plane base without channels, soft tip and tail, wood-covered and round edges which has been made lighter and softer for 2019. Boat riding is making a strong comeback and Liquid Force have added their Flex Track system to their boat boards providing zero heel lift and better all-around feel for the board. For their wakesurf range, they have been playing with different materials and flex patterns and have worked to create a board that is both durable and lightweight. For Slingshot’s wakesurf range they’re using fast rocker lines to minimise drag and allow riders to “turn and burn” for longer. Full wood cores, flex and durability are the key features that consumers are looking for which is why Jobe Sports have made sure their ABS sidewalls run deeper in the boards. When combined with their H.I.T. Base it makes their boards practically bombproof in the park. For Slingshot, their ballistic rail base has proven to be indestructible and the singleshot fusion sidewalls help to protect the full wood core. Every one of Liquid Force’s park-specific boards are now built with a wood core making the board much durable and also livelier with their spring-loaded flex. All of their park boards are built with the LF exclusive Grind base and liquid rails making the boards bulletproof. Ronix feel so strongly about the durability of their product that they’ve even added a new six-month warranty to their cable boards. Having put thousands of hours in on their boards to test their durability, they believe that their new base material alongside their SpeedWalls (vertically poured Urethane to provide more top water speed and to help prevent impact damage from obstacles) and new wood constructions make them almost indestructible. Each brand has their own USP when it comes to their boots and there’s a big variety of quality product for buyers to look at. One key feature for buyers to think about is the inclusion of removable liners in their range. 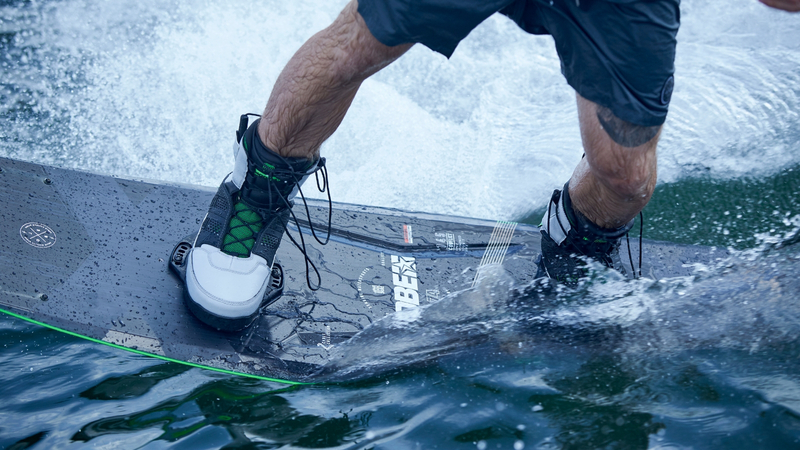 Hyperlite’s DEFACTO boot, built atop their innovative Fusion Plate System, includes a separate insole, midsole and outsole delivering the fit and function wakeboarders need to progress their riding. The Pro Liner in the DEFACTO is also removable for walking back to the start dock at the park. When it comes to park boots, Ronix focused on making a walkable boot and in 2019 they are launching their innovative EXP technology for easy walking without sacrificing on performance. Liquid Force’s 4D Peak is an all-new stripped down, durable boot that is very easy to get in and out of thanks to the removable liner making it perfect for park riding. 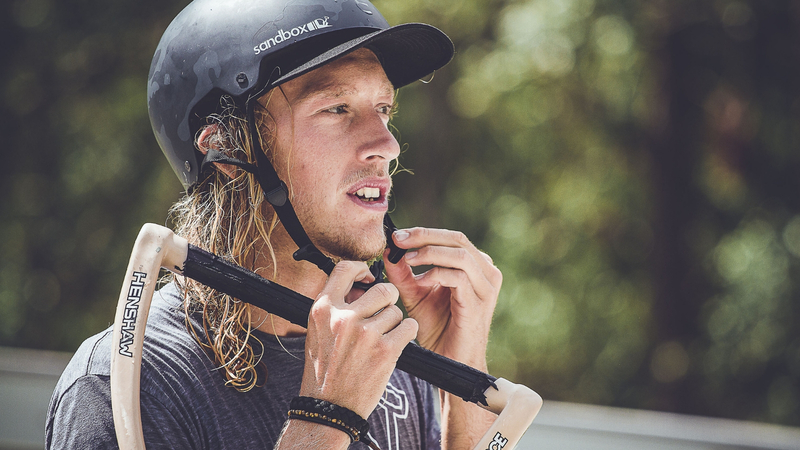 Many wake parks enforce the mandatory use of helmets, particularly for beginners, which has opened up the market for wake specific helmets which differ to snow and skate helmets mainly due to their foam which is designed to not absorb water. Bern combine soft EPP foam and closed cell EVA foam to make sure any water drains away in an instant and Sandbox’s Classic and Legend Low Rider models feature polyester spandex fabric that is specially formulated to be both durable and quick drying in the wet environment of cable parks. 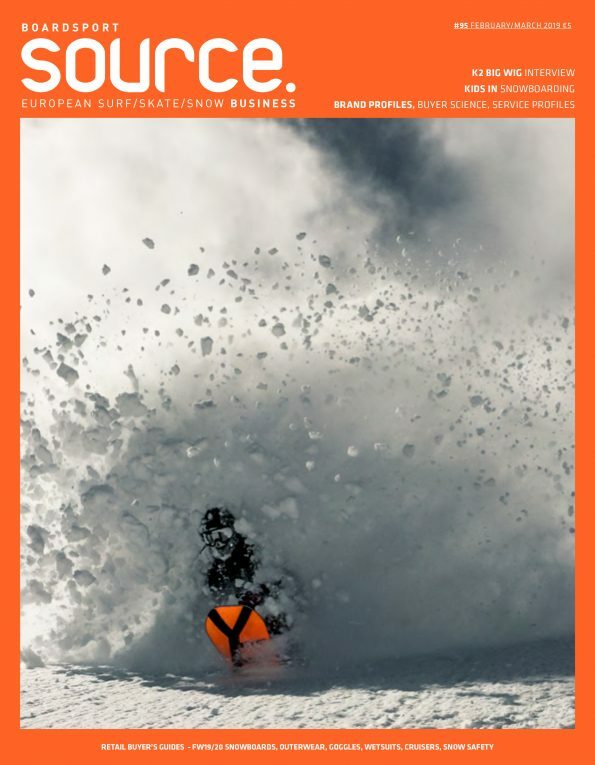 Kevin Sansalone, Founder of Sandbox, speaks of the brand’s Classic 2.0 helmet design that includes their advanced Undercover Venting system which was initially designed for their winter models, but which has now been brought into the wake market. The system allows air to flow through a series of vents hidden within the liner of the helmet, “keeping your head cool without compromising on style”. Pro-tec will continue to sell their staple Ace Wake and Ace Water helmets, and, as R.P. Bess, Global Brand Director at Pro-Tec explains; “our athletes keep wearing the skate version of the Classic and Full Cut. Wake retailers can carry any of the lines, but we’re adding more of the skate styles to the water catalogue, so accounts know they have access to them”. At Jobe, their biggest seller was the Base Helmet in 2018, which is set to continue into 2019. The helmet uses a double foam layer, which makes for a flexible outer shell, whilst keeping its protective capabilities. “Protection, comfort and a lightweight feel are what the customer wants at the end of the day,” explains William Doornekamp. In 2019 Mystic are showcasing their Shiznit helmet with its baseball cap, low-profile style, which features a Croc-Loc rear adjuster for a comfortable, locked-down precision fit and EVA soft foam for impact protection.